Kosař´s research will focus on the impact of the rise of judicial self-government in EU member states. David Kosař from the Faculty of Law. The grant will allow me to create my own research team and invite international experts to collaborate, which will expand the scope of the research beyond Central Europe. 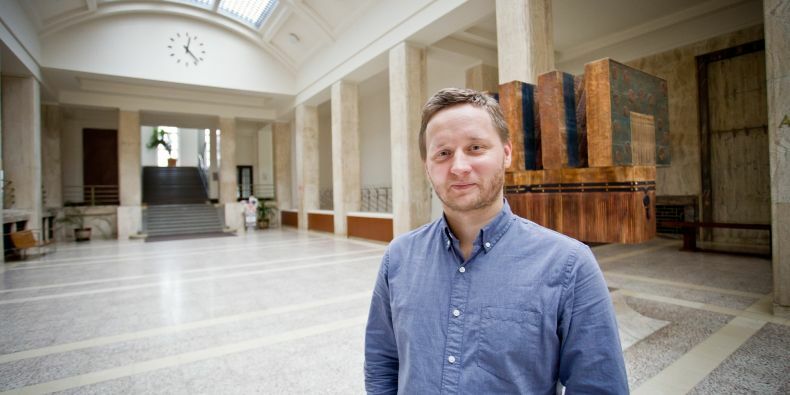 David Kosař, Head of the Department of Constitutional Law and Political Science at the Masaryk University Faculty of Law, received a prestigious research grant from the European Research Council (ERC). 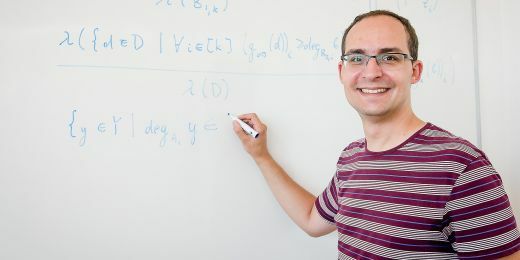 He is the first Czech researcher in his field to be awarded a Starting Grant by the ERC. His research will focus on the impact of the rise of judicial self-government in EU member states on the principle of separation of powers – in other words, he will examine the increasing role of judges in appointing and promoting their colleagues. ERC provides this form of support to the most talented European researchers based on the scholarly excellence of their research proposals. 'The grant will allow me to create my own research team and invite international experts to collaborate, which will expand the scope of the research beyond Central Europe', says David Kosař. Kosař's goal is to map the influence of judicial self-government bodies and expert bodies that select judges in 14 European countries and two international institutions – the European Court of Human Rights in Strasbourg and the Court of Justice of the European Union in Luxembourg. He will examine the impact of implementing judicial self-government on the accountability, independence, transparency and legitimacy of the judiciary and on the level of trust that the general public has in the judicial system. He will also conduct quantitative research of disciplinary proceedings with judges before and after the implementation of judicial self-government. David Kosař studied law at Masaryk University in Brno, where he earned his first doctoral degree in 2009. His thesis was focused on the area of public international law. He also studied at the Central European University in Budapest, where he earned an LL.M. degree in human rights law. He gained his second doctoral degree at the New York University School of Law for a thesis examining judicial accountability. For six years he worked as a judicial assistant to one of the Justices and then to the Vice-President of the Supreme Administrative Court of the Czech Republic, and later as a judicial assistant to Kateřina Šimáčková, Justice of the Constitutional Court of the Czech Republic. This is the third ERC grant obtained by Masaryk University researchers; the first two grants were awarded to scientists working at the MU Central European Institute of Technology (CEITEC). The first grant went in 2013 to structural biologist Pavel Plevka for the study of human picornaviruses. This year, the grant was also awarded to another successful Czech applicant, Richard Štefl, for the research of genomic 'dark matter', also called non-coding RNA. A new Strategic Plan of the University focuses on support and motivation offered to researchers.